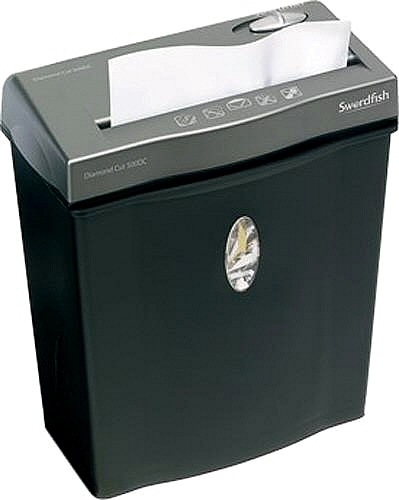 This Swordfish shredder comes with secure 'Diamond' cut shredder blades, Auto-start/stop and it has a very low noise motor. There is a convenient pull-out bin that holds 9 litres with a window to view the shred level. There is also an opening for non shredded waste.